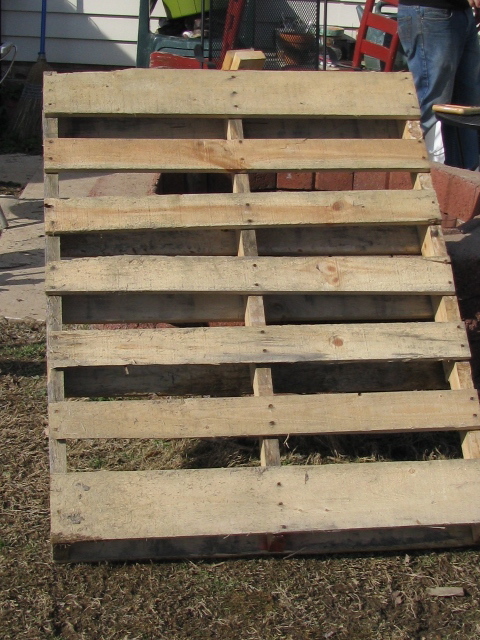 I love pallets and Pinterest! 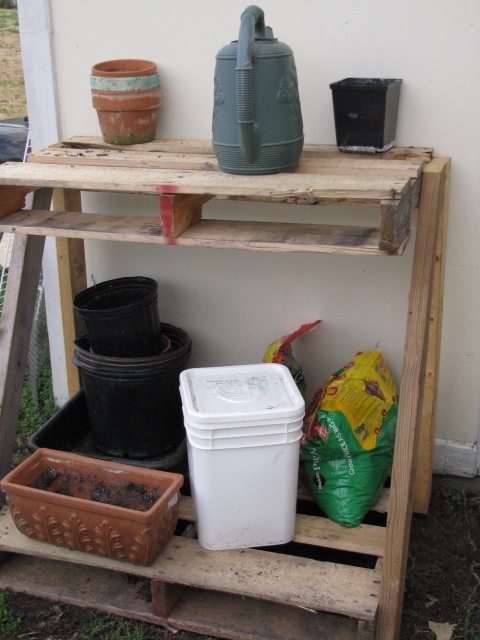 I got this cool idea off Pinterest for a potting table. Something I could do myself!! We had been collecting pallets for a fence project that has long been discarded. There were so many things to do with pallets. I’ll start with a potting station. I went down to Harbor Freight to get a saw. I needed one anyway for my fence. I was smart enough to get the two year warranty and was on my way. I got home and cut up my pallet and some 2x4s we had been saving. (Never know ;)) Michael had brought home his impact gun from work and with his help lining things up, my table was together!! 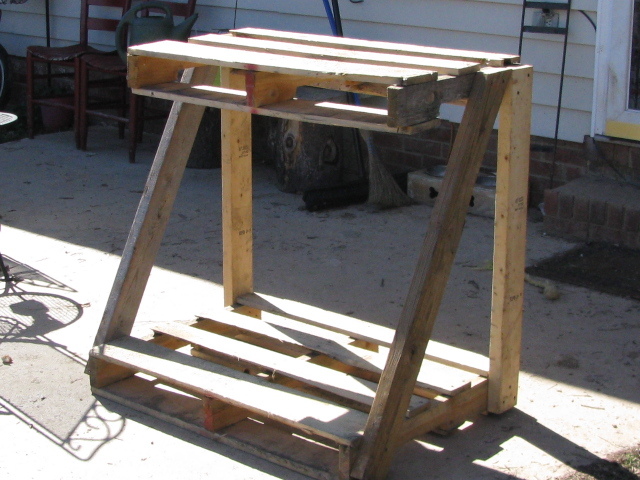 Not only did it look good, it was very sturdy!